He was known as the Last Male Standing and attracted the attention of people around the world, but on March 19, 2018 the last male northern white rhino died. Sudan, 45 years old, had been under armed guard to protect him from the threat of poachers. His death is heartbreaking. The extinction of the northern white rhino is happening before our eyes. Rhinos are the targets of poaching because of an insatiable demand for their horns on the black market. It's thought that an average of three rhinos are lost to poachers every day, and poaching gangs are becoming increasingly sophisticated. 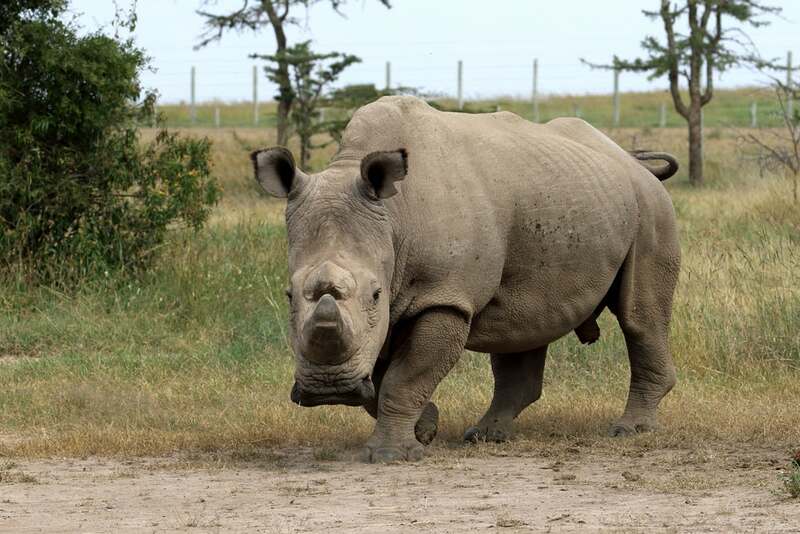 Sudan was guarded and cared for by Ol Pejeta Conservancy in Kenya and died at an old age, but for many rhinos it's a different story. It's illegal to buy and sell rhino horn, but the trade continues because of a belief in the horn's medicinal properties. It's a stark example of the devastating impact of the illegal wildlife trade on threatened species. Urgent action to tackle the illegal wildlife trade is needed now more than ever. To prevent more tragedies like that of the northern white rhino, everything possible must be done to cut demand, crack down on corruption, and tackle poaching. The story is almost over for the northern white rhino, with only two females remaining in the world, but there is good news elsewhere. The southern white rhino has recovered from a population of fewer than 100 in the late nineteenth century to just over 20,000 today, and rhino poaching in Nepal has been reduced to almost zero.